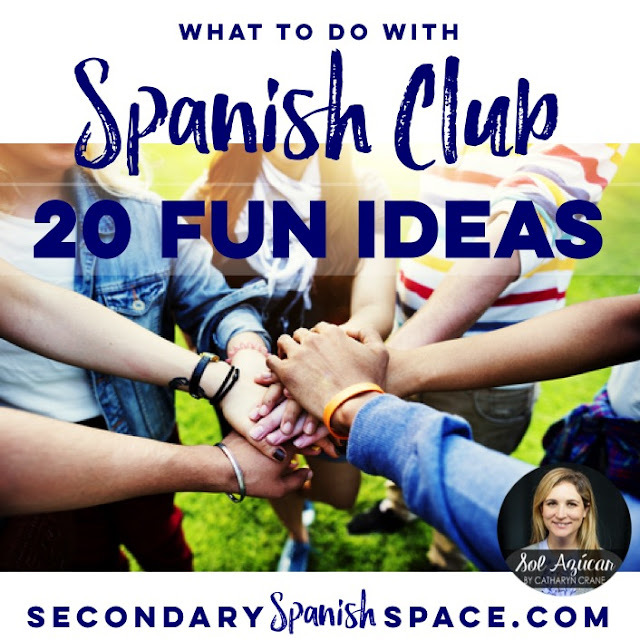 In my time spent teaching Spanish at a large public high school in Arizona, some of my very best teaching moments actually occurred outside of the classroom with my Spanish Club or Spanish Honor Society students. Why are school clubs great for student learning? Students choose to be there! The learning was informal! Often the only “test” at the end was how well students were able to communicate in Spanish in real life scenarios. The learning was meaningful, practical, and relevant to their lives and interests! 1. Throw a Spanish language movie night. After school on a few Fridays throughout the year, we move out the desks in my classroom, spread out blankets, and watch a Spanish-language film. I pop some popcorn, students bring their own drinks, and we run the movie off my overhead projector. Some student favorites that are school appropriate include No se acceptan devoluciones and Debajo la misma luna. 2. Support an international humanitarian campaign. Our club adopted a child in Mexico, to sponsor his schooling, through Nuestros Pequenos Hermanos. Students wrote and sent Spanish language letters to him and loved receiving correspondence back from him. Other Spanish teachers have loved Heifer Project and Ayuda Humanitaria para Venezuela. 3. 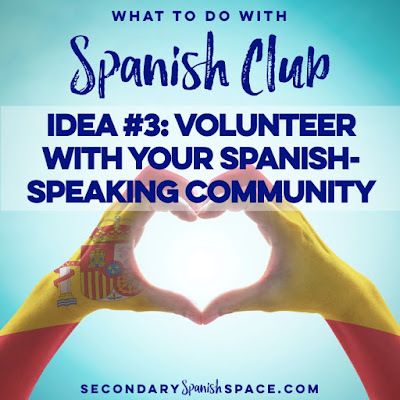 Volunteer with your Spanish-speaking community. We volunteered several times a year at our local St. Vincent de Paul’s evening meal program, where my students helped to prepare and serve dinner to Spanish-speaking patrons. They also ran simple craft activities with the children, and practiced lots of Spanish while doing this. 4. Host a salsa dance party or lesson. I’ve enlisted our school’s dance teacher to lead a 30 minute lesson in our school's gorgeous dance classroom. Students learn some basic steps and then get to dance for the last 30 minutes. Consider inviting just club students, or club students and a guest, or even the whole school. 5. Take a field trip to a local museum or event related to Spanish culture. I took my students to a Frida Kahlo exhibit at our art museum and we also attended a local production of Don Quijote. I love enlisting an artistic student or two to design club shirts each year. There are also some really cute pre-made designs out there, many are on my Pinterest Spanish Club board. Getting students out of their comfort zones and enabling them to see the world is one of the most impactful things you can do for young kids. People love EF tours and Worldstrides for setting up group student trips to Spain or Latin America. Our very own Jessica of Miss Señorita blogs about taking students abroad, sharing her tips and experience with this. 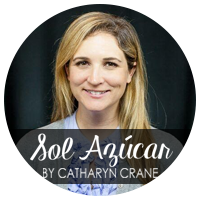 I also love fellow secondary Spanish teacher Holly's Tips for Traveling Abroad with Students. 8. Host the Pulsera Project. I've brought Pulsera Project to our school for several years running, with great success. They ship you a bunch of homemade pulseras, from artisans in Nicaragua. Your students sell them and the money goes directly to support local business and development in Nicaragua. I love that they send a bunch of learning materials IN SPANISH, so students can not only sell the bracelets, but learn about Nicaragua in the target language. Yuda Bands is a similar project. 9. 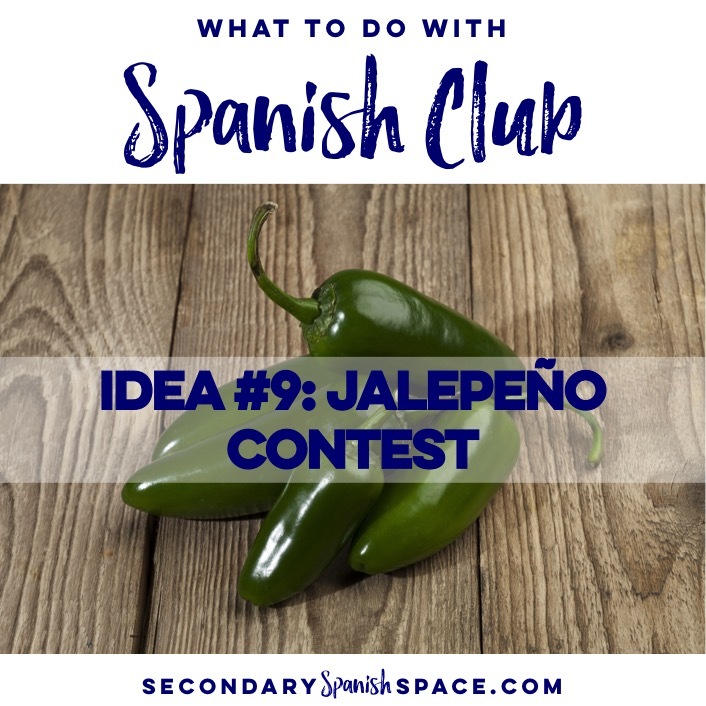 Host a school-wide jalapeño eating contest. We’ve done this for a few years running, with lots of participation and interest. Club members are in charge of advertising, marketing, and running the contest. I use club funds to pick up a ton of jalapeños and lots of milk. 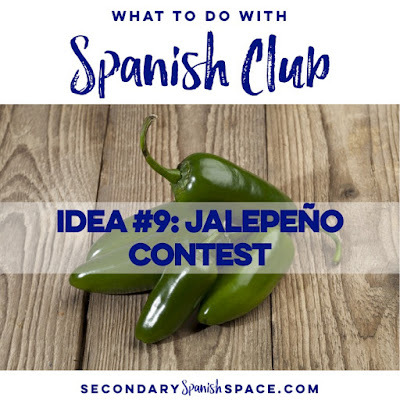 We host rounds of 5 students at a time, who eat as many jalapeños as they can in a minute. Winners get a small prize, a certificate, and lots of glory. 10. Visit a Spanish restaurant to order food in Spanish and try new foods. I speak with the restaurant owners ahead of time to request that they greet and interact with my students only in Spanish. I also try to bring back a menu so students can get an idea of how to order and what they might like ahead of time. We have tried Mexican, Peruvian, Cuban, and Salvadorian foods. 11. Learn to cook authentic dishes. We take advantage of our school’s foods lab after school and have invited teachers, family and community members to be “guest chefs” demonstrating how they cook a cultural dish. Our guest chefs have made chile con carne, pupusas, pastel de choclo, and even a simple horchata. Students love this because they get to sample the dish at the end. We leave them the recipe as they go and many report that they try making the dish at home. 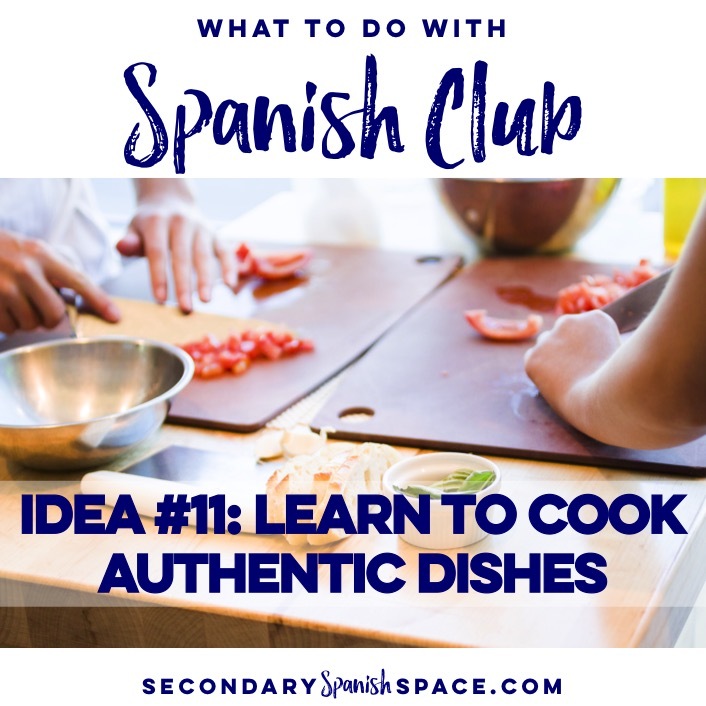 You might check out Sarah's blog about Tips for Cooking with your Spanish Students for more support. 12. Invite a mariachi band to play at your school. For el 16 de septiembre, we often use funds to invite a local mariachi band to play during the lunch hour at school. This is such a festive and fun way to bring Spanish language and culture to the whole school. If you have a dynamic group of students, a dance party will surely ensue. 13. Create and share Spanish trivia on the daily announcements. 14. Create and post inspirational quotes in Spanish around the school. Around final exam time, club members research and select a few inspirational quotes in Spanish. They make 8 1/2 x 11 posters to hang up around campus encouraging students to do well. This is a nice way to expose all students at your school to a little Spanish. Spanish Honor Society has some amazing scholarships that student members should apply for. I have had several students win in the past! Encourage your best students to apply for these, it is a great learning experience even if you don’t win. 16. Start a Spanish book club. This is ideal for Spanish Honor Society, where you might have students who are really skilled Spanish readers. For less skilled readers, consider selecting children’s books to read in Spanish or reading a book in English that has to do with Spanish culture, like Isabel Allende’s House of the Spirits. 17. Host a Reyes Magos party in early January. We have a preschool within our high school, so my club members love to bring the Reyes Magos celebration to the little ones there. We share rosca de reyes and fill the kids’ shoes with candy, after talking about the Reyes Magos story. By having your club members become the “teachers” they learn so much. 18. Attend local Spanish culture festivals. We attend the Day of the Dead parade, salsa dancing festivals, etc. 19. 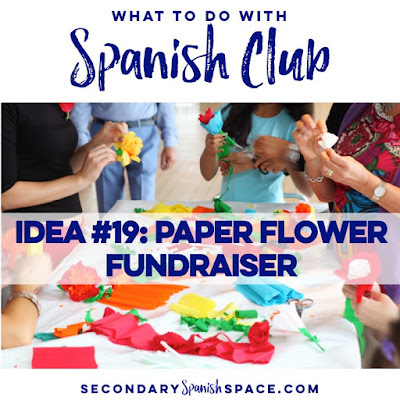 Make paper flowers to sell as a fund raiser. These are so simple and cheap to make! Watch this video tutorial to see how. Sell them for $1, and you will quickly earn money to fund other club projects. 20. Host a Spanish language music video production challenge. Club members form small groups to choreograph, produce, and star in a music video for a Spanish language song of their choice. Elisabeth from Spanish Mama gives a nice list of Spanish pop songs for middle and high schoolers. Give them a month or so to plan these, to record, and then to edit. Host a viewing party and have members vote for the best, the weirdest, etc. 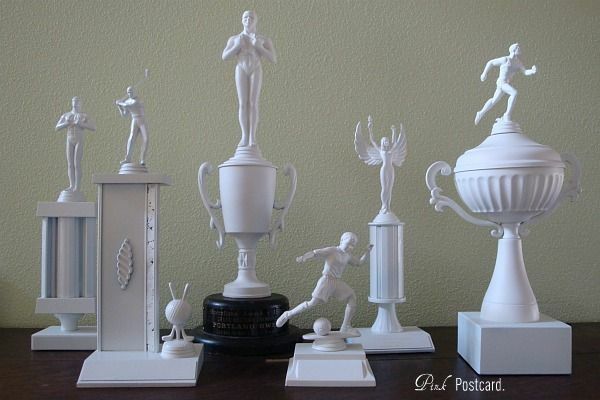 I love to give out silly awards - you can buy old trophies at the thrift store and hot glue stuff to them, then spray paint them for a really dramatic way to give out an award. They look kind of like this. Hope these ideas get you thinking! What activities have your Spanish Club and Spanish Honor Society students enjoyed? The jalapeño eating contest is the greatest idea EVER! I love how mean it is and how funny it would be :) Great ideas, Catharyn! Haha! I mean it is pretty much every freshman boy's dream. A great book to use for Spanish class, club, or your own kids at home is a picture book called The Barking Mouse. Very funny and promotes bilingualism. I had not heard of this work, Laura, thanks for sharing! Lots of cultural connections in his stories, it seems. I bookmarked the author, Antonio Sacre's website to take a look more in depth soon: http://www.antoniosacre.com/story.html Thanks for your idea! I need more info about the Spanish Honor Society, never heard of it. Glad you're interested. Simply click on the link in my post and you can visit the SSH website. You're very welcome. We keep hearing great things about Yuda Bands! Hi, I work in a very small school district. Foreign language is not very important to the community. I have been doing tones of things without the support of the community and the school staff. I see that you mentioned Spanish Honor Society. It sounds like a good idea to help my Spanish program grow. Can I get more information about it. Está muy bien, pero muy orientado hacia América Latina. España también tiene comidas y tradiciones muy interesantes. Por favor, no te tomes este comentario como una crítica, sino como una opinión. Gracias por leerme, espero que apliques mi consejo al blog. 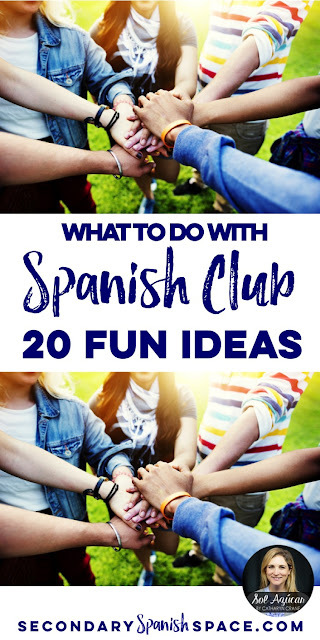 I was looking for ideas of activities to do with my Spanish Club, and I came across your page. I read that you partnered with Nuestros Pequeños Hermanos! A couple of years ago I took my students to Antigua, Guatemala, and we helped NPH with the construction of a building to house a store to be run by their life-skills kids. It was a great experience, and I can vouch for the great work and sound management of the organization. Thanks for sharing the information on your page!